Underpinning Toronto. The Leading Contractor: 416-734-0004 AquaResist Inc.
What is the Underpinning for Toronto residents? Underpinning Toronto: How – and Why? When, if ever, do foundations of homes or business structures need underpinning in Toronto? What is underpinning, Toronto? How and why is it done? You have probably heard the term “Underpinning” but may not understand the process. Underpinning is a method of reinforcing footings and foundation walls, especially in older homes or structures that have been impacted by changing conditions, such as altered drainage patterns or nearby excavation. 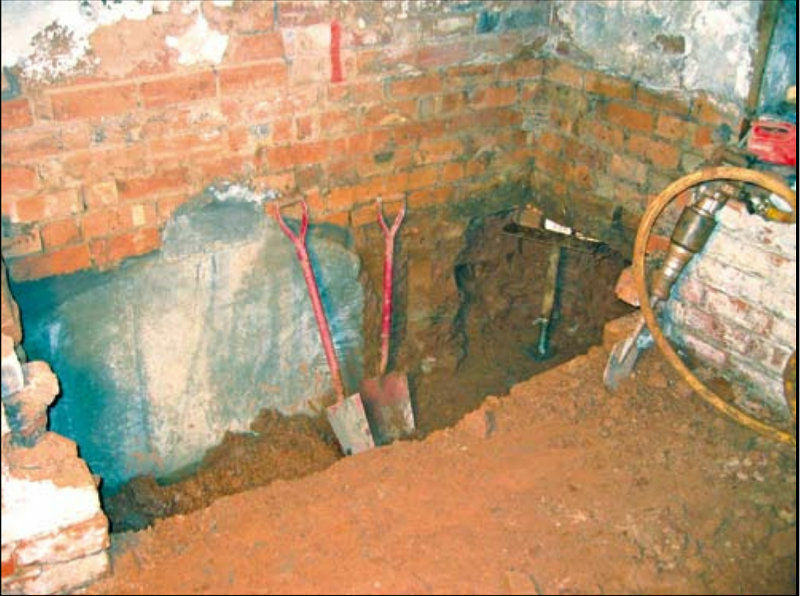 Underpinning involves digging pockets alongside the existing footing to depths well beyond the final basement floor. Those pockets extend beneath the foundation, at least as far as the outside of the original structure, and new concrete is poured to completely fill the new cavities. After the concrete has cured, adjacent pockets are excavated and filled. The process is repeated until the entire structure has new underpinning. Toronto structures require strong footings. Is your structure is sagging, doors and windows binding, or cracks appearing in walls? The cause may be settling of the foundation. When this happens, it’s imperative that you quickly resolve the problem, before irreparable harm is done to your building. Owners may wish to add or deepen a basement. Digging below the present grade risks weakening foundation walls. It's possible, but it MUST be done properly. There are two basic methods of deepening basements. They are Bench Footings and Underpinning. Toronto property owners will be pleased with the results of underpinning. It is feasible to deepen an entire basement, underpinning the whole foundation – but it is crucial that it be done properly, to avoid damaging or destroying your structure. Done correctly, the finished product will look as if it was built that way. Underpinning Toronto homes and businesses enables them to be expanded downward, providing full basements. Adding to what's on top? 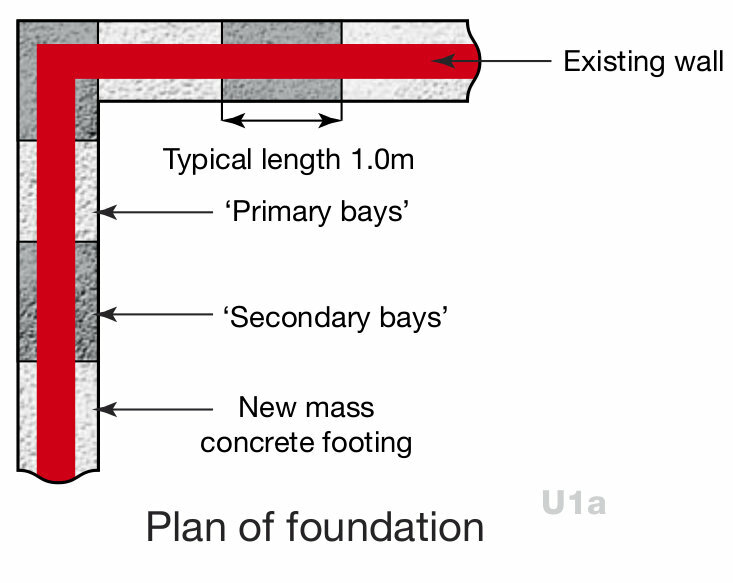 If you're planning new construction which will add significant weight, the original footings may be inadequate – you should consider underpinning. Toronto structures may also have foundations which have not yet failed, but which seem to be deteriorating. 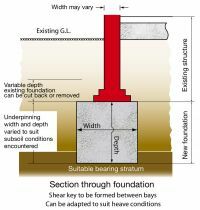 Underpinning Toronto structures, done properly, will reinforce weak footings and enhance the value of your property. Could you underpin it yourself? Maybe–but beware! Digging beneath the foundation can cause it to crack or even collapse. Unless you have related experience, you should (as a minimum) seek professional advice. Better yet, hire a reliable contractor who offers a written warranty. Then you can rest assured that your home or business structure will be secure for years to come. 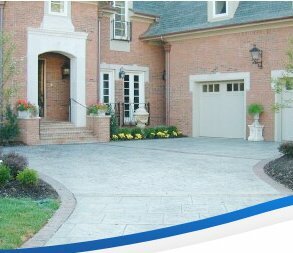 Call Aqua Resist 905-624-7363 for a free consultation and a written estimate . We can help you to determine whether underpinning is right for your structure. If we do your underpinning, Toronto / GTA residents will receive a written warranty.